Kilner have been making durable and high quality glass jars and bottles since 1842. Made in England. Non - toxic and BPA free. This set includes a rounded jar with clip top lid and rubber seal and stainless steel grater attachment with a non slip silicone seal. 500ml capacity. Clip top lid with rubber seal, ideal for ultimate freshness. Stainless steel grater attachment to grate right into jar for fresh storage. Fits on 0.35L, 0.5L, 1L and 1.5L clip top jars. Vintage style with Kilner embossed logo. Grate and store vegetables and cheeses straight into your jar. Jar can be used to pickle and preserve fruits and vegetables or for wet and dry storage. 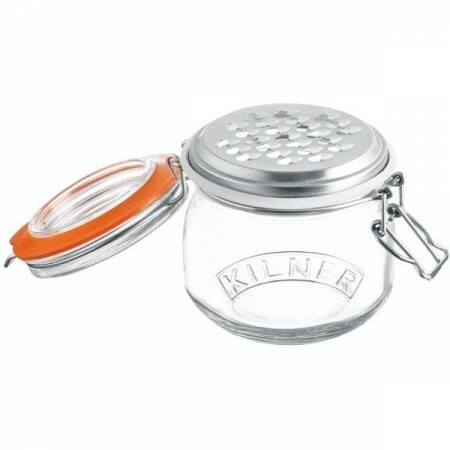 Kit includes: 500ml clip top glass jar and stainless steel grater attachment. 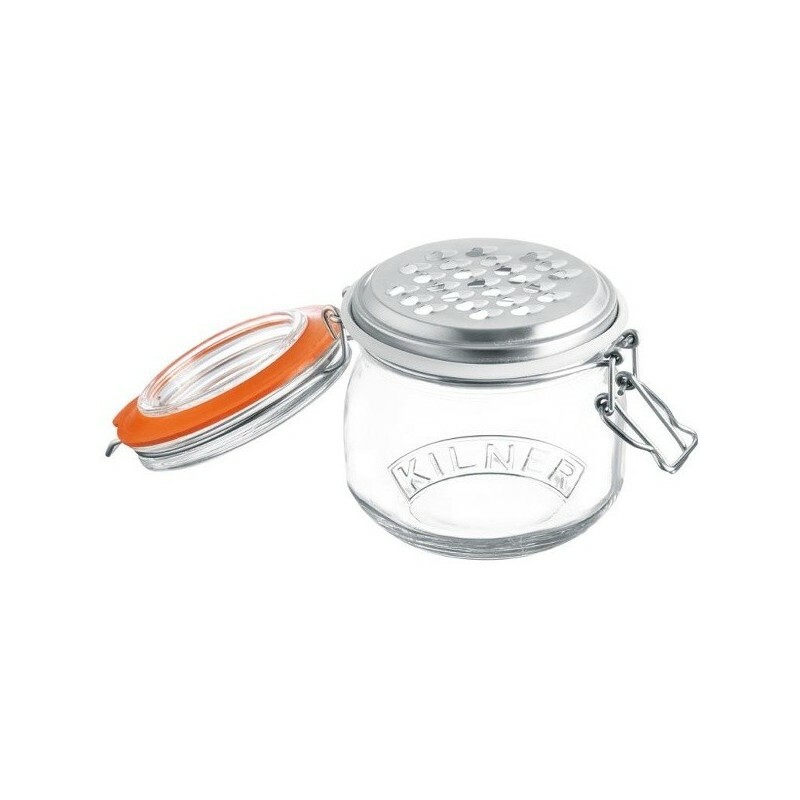 500ml Glass jar, rubber seal, metal lid, stainless steel grater, silicone seal. Product is packaged in cardboard box that can be reused or recycled.